Larry W. Draper died peacefully on January 21st, 2019 with loved ones at his side. Born in Caldwell, Idaho on February 19, 1945, to Wayne D. Draper and Marjorie L. Highbarger. The family resided in Nampa, Idaho where Larry graduated from Nampa High School. Larry followed his parents to King Hill, Idaho to pursue farming. There he farmed for many years and raised two sons with their mother, Patti. He enjoyed watching them grow up and go to school in Glenns Ferry, Idaho. He always attended their many sporting events and enjoyed coaching the boys in little league basketball and baseball. He was especially proud of his sons and their accomplishments. He married Teri on August 4, 2006 and they lived life to its fullest. They enjoyed NASCAR, watching Mariners baseball, Dallas Cowboys football, and watching all their grandchildren’s activities, to include streaming basketball games from Iowa. They loved driving and went on many cross-country road trips. Larry enjoyed spending time with his many friends in his man cave, socializing, and watching ball games. He was always a hard worker and driving a tractor in a field was his true passion. 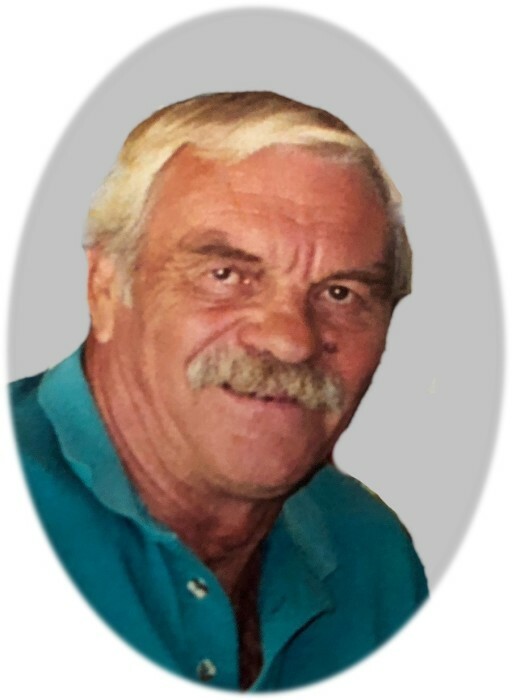 He worked for Landview Inc. where he was a master of numerous jobs involving tractor work until he had to retire due to health issues. Larry is survived by his wife, Teri Draper; his sons, Ron (Tracy) of Wichita, Kansas and Randy (Brooke) of Waverly, Iowa; stepdaughters, Angie (Rich) Davis and Kalli (Kevin) Hollyfield; and step sons, Kirby Young and Scott (Angela) Young; 14 grandchildren; and 1 one great grandchild. Larry is preceded in death by his mother, Marjorie L. (Highbarger) Draper; his father, Wayne D. Draper; and brother, Dennis “Denny” Draper. A funeral service celebrating Larry’s life will be held at Alsip and Persons Funeral Chapel, 404 10th Ave South, Nampa, Idaho on Friday, January 25th, 2019 at 5:00 PM. Prior to the funeral service, there will be a viewing from 4:00-5:00 PM. A graveside service will be held on Saturday, January 26th, 2019 at 10:00 AM at Glenn Rest Cemetery, 2005 Frontage Road, Glenns Ferry, Idaho. A special thanks to Abode Hospice Dr. Joe Llenos and staff for their compassionate and patient care. The family asks that in lieu of flowers, donations can be given to Hospice Foundation of America.